Even though moving your entire household seems like a giant task, it's really just a matter of managing a lot of details. As an experienced residential moving company, the professionals at Arnoff Moving & Storage can simplify the process for you. 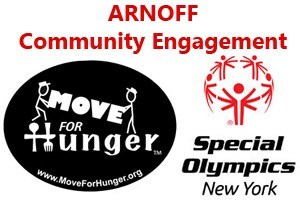 Since 1924, the Arnoff family has been providing exceptional service to families in New York, Massachusetts, Connecticut and Florida, moving the ordinary and extraordinary. We understand how important your move is to you, and our trained, professional staff will keep you informed every step of the way. There is no move too small or too large for us to handle as your residential moving company. With any move, planning is the most important part. Total coordination of your move begins with one of our professional sales representatives who will select the services that best fit your needs, whether your move is local, long distance or international. Arnoff will do everything in our power to ensure a well-planned and executed relocation. Arnoff is a residential moving company who can meet your needs and expectations for your local, long distance and international relocation as an agent for North American Van Lines, the nation's largest specialized transportation source. Rest assured, no one has more experience in residential moving than North American's network of professional agents, drivers and employees. Across the continent and around the world, our team is focused on a single goal; your total satisfaction. After all, you expect a perfect performance…and Arnoff Moving and Storage delivers nothing less.